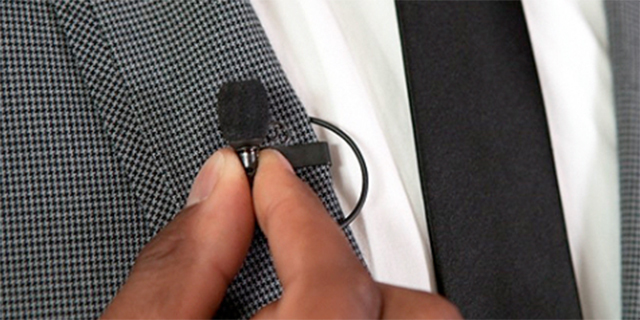 This is a plug for the use of wireless, lavaliere microphones, because they can make your video stories better in so many ways. A wireless mic lets your subject, or your reporter, or your anchor, provide you with great sound while remaining untethered to the camera. This makes shooting much more flexible. Professionals use them all the time. They are standard gear in the world of news gathering. Here’s an short example of how a wireless mic worn by a school truancy officer allows us to see and hear a piece of her world as she searches for students. Rose says to place the lav mic “Where it usually isn’t…on the collar of a dog, in a squeaky mailbox, near a stream.” That goes along with a principle I try to drill into my photogs: Take me somewhere I can’t go, show me something I can’t see. Maybe we should add: Let me hear something I can’t normally hear. Of course we all have cost concerns. Wireless lavs start at around $100 dollars, but you can spend as much as you want. The more you pay, the more likely the sound will be better from longer distances. But even the low-end models give you some valuable freedom and flexibility to be creative.